Kalmar has received an order from Hamburger Hafen und Logistik AG (HHLA), the leading European port and transport logistics group, for 10 new straddle carriers. 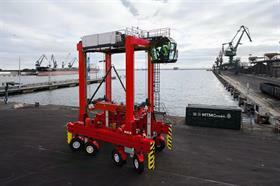 This brings the total number of Kalmar straddle carriers ordered by HHLA in the last two years to 30. The value of the order was not revealed. Established in 1968, HHLA Container Terminal Burchardkai (CTB) is the largest facility for container handling in the Port of Hamburg. The terminal has an annual capacity of more than 3 million TEUs. CTB was the first terminal to introduce the straddle carrier concept as well as a unique automatic stacking crane (ASC) system featuring three cranes per block. The new units will be used to transport containers from the port's ship-to-shore cranes to the ASCs. The new order from HHLA comprises nine Kalmar straddle carriers with diesel-electric powertrains and one Kalmar hybrid straddle carrier, which features a regenerative energy system. 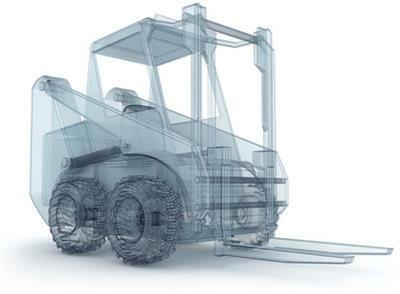 All 10 machines will feature new robust mobile drives, a completely redesigned electrical system for the upper frame and spreader, a more spacious electric cabinet layout and LED working lights as standard. The complete electrical and technical redesign brings a huge variety of benefits for terminals using straddle carriers for container handling, with increased reliability and productivity being the most significant. HHLA director Jens Hansen says the new new machines will be "vital in terms of helping us to continue to reduce operating costs and cut noise and emissions".